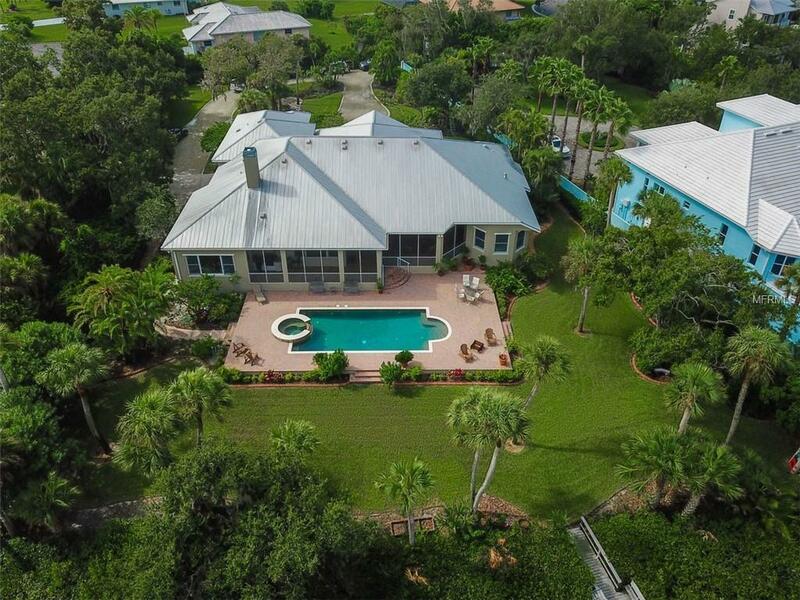 Situated on an ultra-private, 1-acre lot with spectacular views of water, sky and trees, this 5 bedroom, 3 and 1/2 bathroom custom home stands out as a breathtaking example of Gulf Coast living. 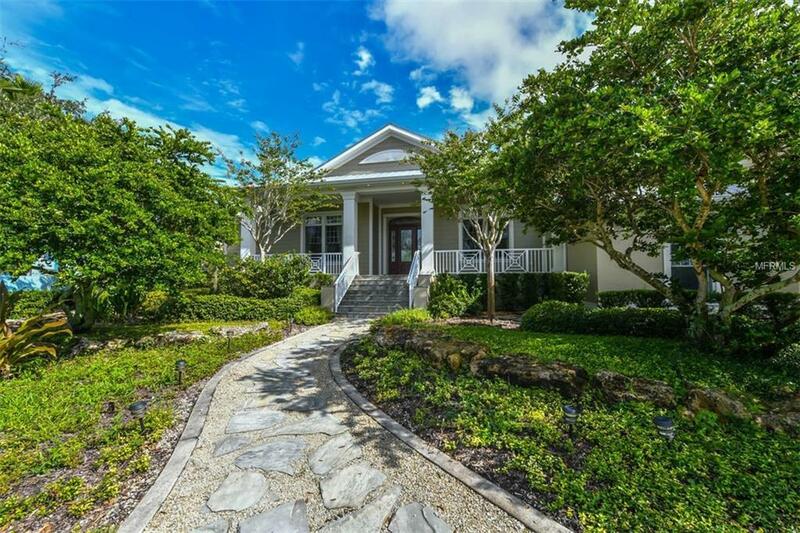 Almost 5,000 square feet of air-conditioned living space coupled with vast covered and open outdoor spaces create an inviting and liveable estate. The gourmet kitchen features high-end appliances including a stainless Sub-Zero refrigerator, built-in stainless oven and microwave/convection oven combo, warming drawer, and gas range with hood. The granite counters, distressed wood cabinetry, and large island with eating space connects with a large family room creating the heart of this home. The formal dining area with adjacent butler's space is perfect for entertaining and boasts an understood elegance. Bonus areas include office space, media/billiards room, ample closets throughout the home, and a large garage to accommodate 3 cars. The covered and screened outdoor patio features an outdoor kitchen and melts into an open-air pool deck with extra large pool and spa all backdropped by South Creek and the natural beauty of Oscar Scherer Park beyond. This is a must-see home. Schedule your private tour today! 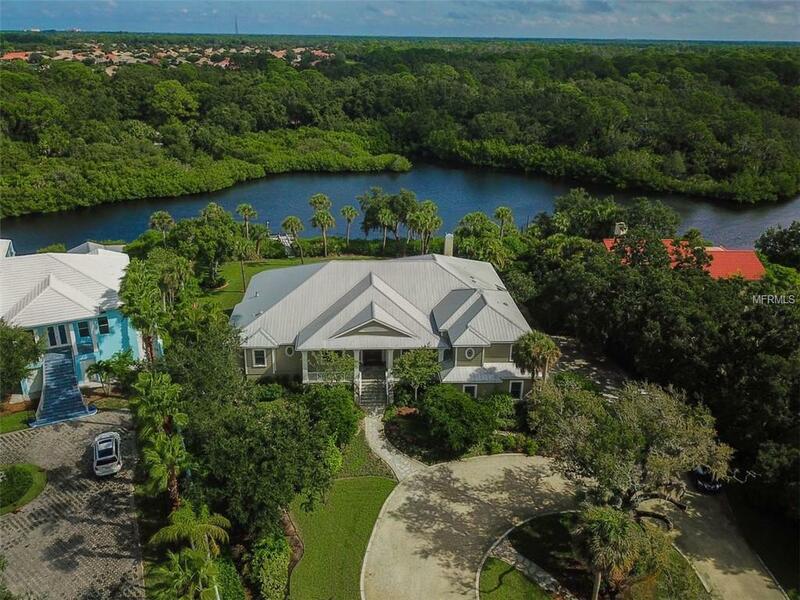 Additional Water Information This Home Has Expansive Water Frontage On South Creek With The Mature Oaks And Natural Landscaping Of Oscar Shearer Park Cascading in The Background. A Serene Tranquil And Naturally Beautiful View.